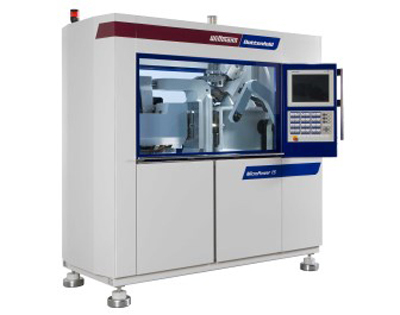 Wittmann Battenfeld will demonstrate its expertise in the field of medical technology, especially micro molding, at the forthcoming Compamed 2013.The company is exhibiting two micro injection molding applications. One will be on display at the Wittmann Battenfeld booth, the other at the booth of Microsystems UK. An opto-electronical application will be shown at the company’s booth, where a barrel holder made of POM will be produced by an all-electric MicroPower 15/10 with a mold supplied by Wittner. This component is a focusing device used mainly in cameras to hold the lenses in place or to focus them, and in medical measuring devices, also for focusing optical measuring systems, for example for optical analysis of liquids. The internal thread is produced with the help of a threaded core operated directly via the ejector of the injection molding machine. This means that the threaded core is unscrewed directly inside the mold, before it is removed by a Wittmann W8VS2 robot specially designed for this machine model, then presented to a camera integrated in the production line and the machine’s control system for quality inspection, and finally deposited in a collecting box separated according to cavities. Another special feature is the production process under clean-room conditions achieved by means of a Laminar FlowBox inside the machine.At the booth of Microsystems UK, there will be a demonstration of the production of functional components for lab-on-a-chip application, also using a MicroPower 15/10 and a mold from its own production. Two different parts with micro structures will be injection molded from highly transparent ABS, inspected by a camera integrated in the machine and then deposited by a Wittmann W8VS2 robot in a stacking station. Special features of these parts are the fine micro structures, which assist the transport of liquids within the “lab on a chip” component, and the high quality of the lens for subsequent optical analysis of the liquids to be examined. In this application, too, the entire manufacturing process takes place under clean-room conditions.Compamed 2013 will be held from November 20-22 in Düsseldorf, Germany.